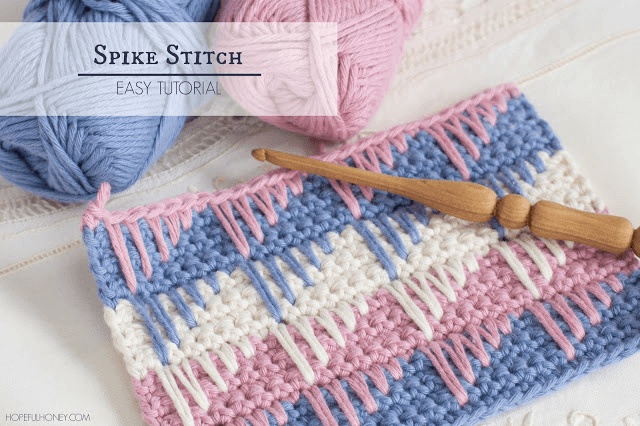 This crochet spike stitch tutorial will guide you, step by step, to adding another beautifully unique crochet stitch to your repertoire. 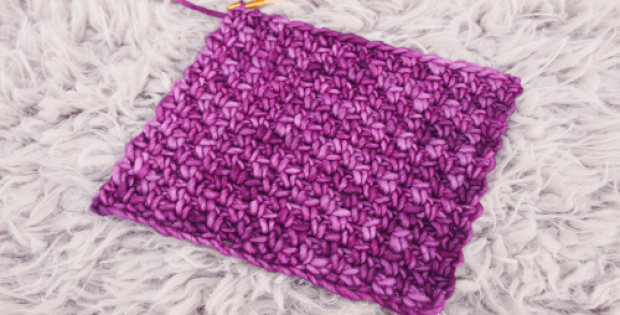 With an easy to follow video tutorial you will have more confidence in learning this stitch with less stress throughout the process. 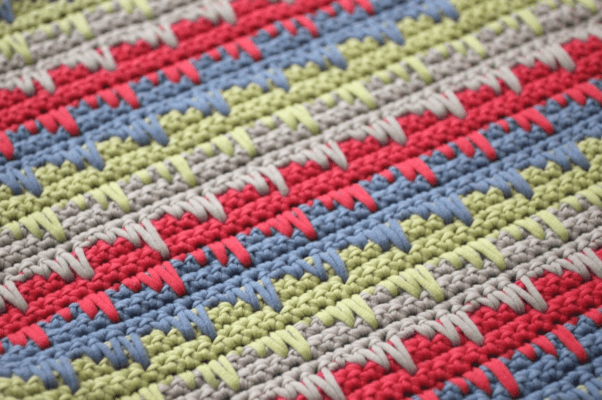 A beautiful addition to blankets, pillows, scarves and many more projects. Ever came across a crochet stitch so pretty and unique, that you just have to try it out and show it off to the world to see? Well, to me the crochet spike stitch is one of those stitches! It looks amazing and I am sure you’ll love it just as much as I do. The pattern is in itself a versatile stitch which allows you to come up with an array of designs of your own liking. You can try to incorporate this pattern into your next project be it a warm blanket, cowl, cardigan or sweater, rug, or scarf. Whatever project you settle on, you will be able to complete using the crochet spike stitch with any weight yarn which you choose. The weight of the yarn on impacts the size of the finished item. Most people imagine the crochet spike stitch as being an easy crocheting technique. Learning it, however, is a different story. 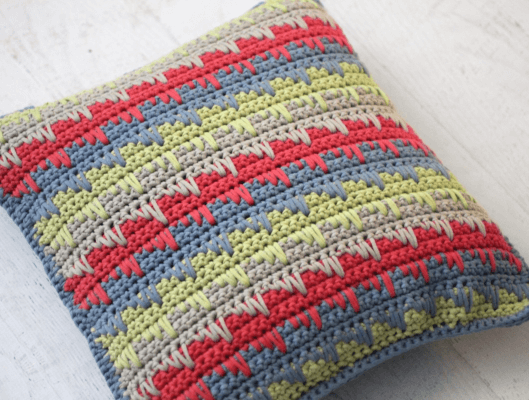 Despite its beautiful appeal and a delicate texture, you’ll be surprised at how simple the crochet spike stitch is to learn and put to use in a project. 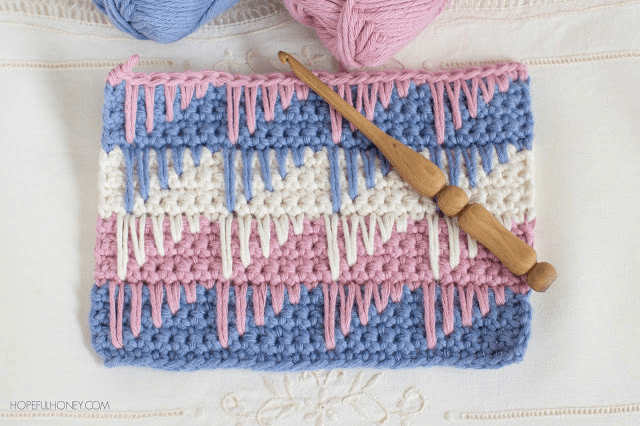 With a decent command of the pattern and its specifics, you can use the stitch as a decorative addition to your projects and add a dramatic design that screams sophistication and style. Crochet spike stitches can be knitted using any of the sweet crochet skills you’re so eager to show off. Any stitch height will do; single crochets, half doubles, doubles, trebles, name it, it’s all good! 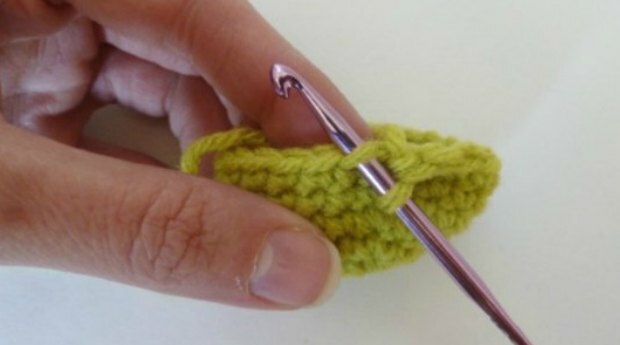 Like so many other stitches you might be already accustomed to, the one thing that sets this stitch apart is the position you insert the crochet hook, simple as that. To start the stitch, begin with the usual number of yarn overs, and insert the hook where the pattern tells you to. After inserting the hook, pull up a loop all the way up to the height of your working row. This is actually the trickiest part. When working on this stitch, keep the loop that is already on the hook relatively taut. Keep the spike part loose enough around the previous rows. So that you don’t squish them down when finishing off the stitch. Once the stitch is finished, you should have enough room to arrange the spikes. So that the strands are laid out nice and flat. When moving on to the next stitch in the crochet spike pattern, skip the stitch in the previous row that the spike stitch was worked over. To get started you will need some yarn and a crochet hook. 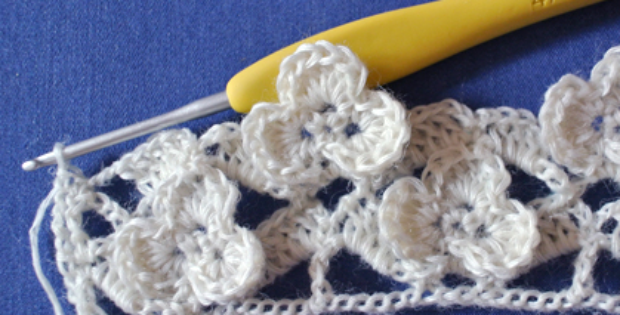 There are numerous variations to the crochet spike stitch. Whichever you settle for, rest assured the results would be equally as stunning. The stitch is suitable for individuals with intermediate to advanced experienced skill level in crocheting. Fabrics crocheted using spike stitch pattern can be quite thick and stiff. This is because the spikes are worked all the way around two or more rows. What does this mean for crochet projects that are lighter? Well, the spike stitch is perhaps not the best choice where lightweight shawls or summer sweater are involved. It is, however, best suited for common crochet items such as pillow shams and accessories such purses. 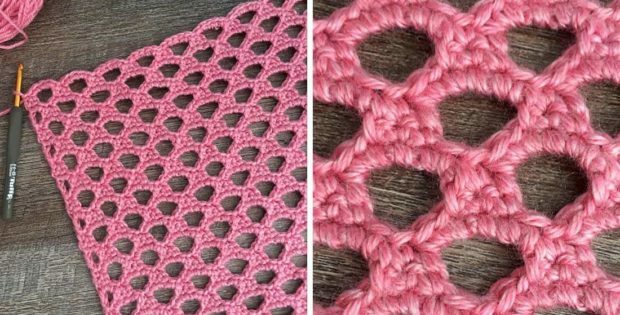 You can use spike stitches of varying lengths in certain combinations to create amazing geometric patterns on your completed crochet projects. When the stitch spikes are done in alternating colors, the possible combinations are breath-taking and the creative possibilities are limitless. Now, the rule of thumb when dealing with such projects is, throw in as much color as your heart desires. In conclusion, the crochet spike stitch is something you should definitely try out sometime to expand your crocheting repertoire. I can assure you that whoever you gift the finished items to will love them too. The appreciation for all things beautiful is universal, so go out there and create some magic. 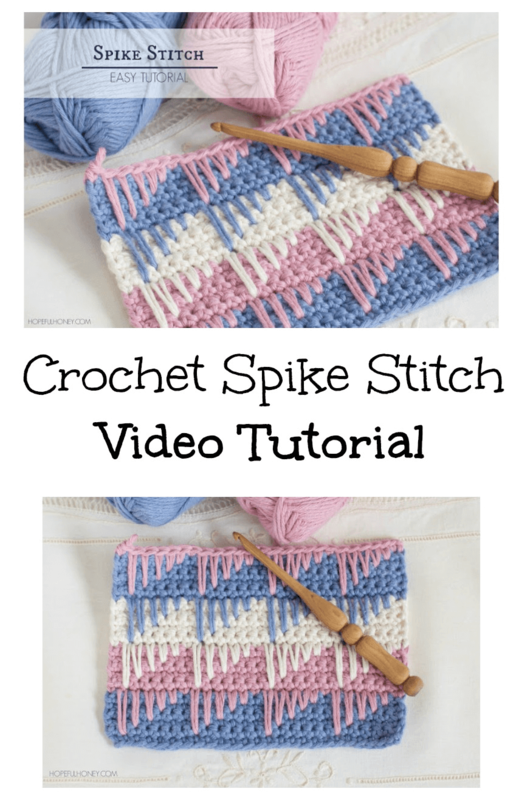 So, watch the video tutorial below and get started on your next pattern using the crochet spike stitch. A massive thanks to Hopeful Honey for this crochet spike stitch tutorial.